Results have been posted for the Lil’B 5K-ish, held on April 6, 2019. Since this was a Grand Prix Series race, Grand Prix Series standings have been updated accordingly. 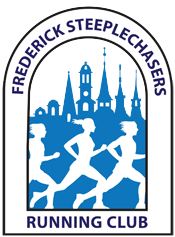 Results have been posted for the Forest of Needwood 5 Mile Race, held on March 9, 2019. Since this was a Grand Prix Series race, Grand Prix Series standings have been updated accordingly. Registration is open and there are still spots available for this fun and foundation-building program with emphasis on learning the benefits of running as a fun and enjoyable means of lifetime fitness! The FSRC Spires Youth Running Program is open to children ages 7-14. Results have been posted for the RRCA Club Challenge 10 Mile, held on February 24, 2019. Since this was a Grand Prix Series race and an Equalizer Series race, Grand Prix and Equalizer Series standings have been updated accordingly. Results have been posted for the Lewis Memorial 10 Mile Run, held on February 2, 2019. Since this was a 2019 Grand Prix Series race, Grand Prix Series standings have been updated accordingly.